It’s been a few months since we hosted Signal (if you missed it, don’t forget that videos from all the sessions are available online) and in this post I wanted to spend some time exploring one of the announcements that I found pretty exciting: alphanumeric sender ID’s. 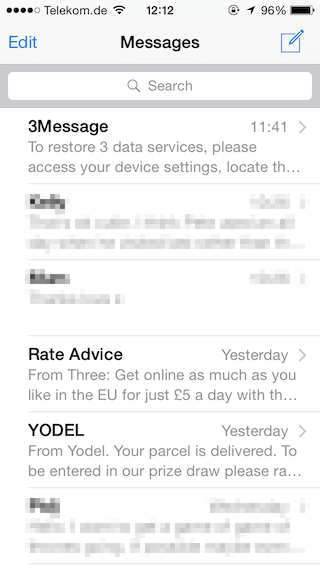 Being based in the UK and traveling often in Europe I regularly receive SMS messages with a business name as the sender ID instead of a phone number. This is great as I instantly recognize the name of the business sending me the message instead of seeing an incoming message from an unknown number. Now I can use Twilio to enhance the experience I provide users receiving my SMS messages by sending text messages with an alphanumeric sender ID to any of 145 countries around the world. In this post I’m going to show you how. Before we dive into the code, there are a few things you should know about alphanumeric sender IDs. 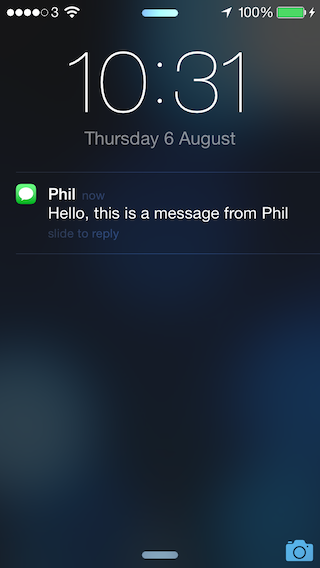 This style is great for alert or broadcast type messages, but no use for interactive applications as users cannot respond to an alphanumeric sender. As such, if you choose to use an alphanumeric sender ID you will need to provide alternative ways for users to opt out. You should also think carefully about the sender ID that you choose. Your business name or brand is fine, but if you try to get too creative things can really backfire. Ready to start sending branded SMS messages? Let’s get on with it then. and that’s it, so let’s get on with sending some SMS messages! body: "Hello, this is a message from Phil"
You can save that to a file and run it or just type it straight into irb, either way it will just work. Pretty straightforward, right? How about sending an SMS message from an alphanumeric sender ID then? As you can see, there’s only one change. We replaced the phone number with a string of text and that was all there was to it. Well, ok, it’s that simple only if you are sending SMS messages to one of the 145 countries that support this feature. If you are sending to multiple countries and one of them, like the US, doesn’t support alphanumeric sender IDs then there is a bit more work to do. Send a message using an alphanumeric sender ID to a number in a country that doesn’t support it and the Twilio API will respond with an HTTP 400 response. The body of the response will contain the Twilio specific error details, including a Twilio error code and error message. The error code that represents our problem, sending an SMS message from an alphanumeric sender ID to a country that doesn’t support it, is Twilio error code 21612. You can now try this script against a number from a country that doesn’t support these messages, like the US, Japan or Belgium. Once the API responds with the error the script will fallback to using the supplied phone number as the sender. If other errors are raised they will cause this script to crash and you should handle those errors in an appropriate manner for your application. Remember that using an alphanumeric sender ID is not appropriate in all possible uses of SMS as recipients cannot respond and in cases where you can use this feature it is important to provide alternative ways for users to opt out of these messages. As always, if you have any further questions about this drop a comment below, give me a shout on Twitter or shoot me an email.